Thistle Marine are renowned for our design and manufacture of fixed boom landing/discharge cranes. Our cranes are built to withstand the harshest of environments whether installed on quayside or on fishing vessel for all your discharge and landing requirements. 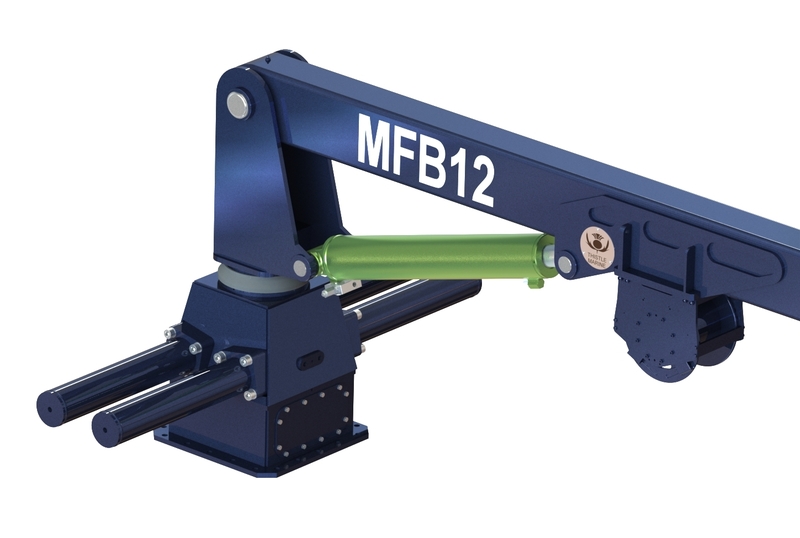 The MFB12 landing and discharge crane is typically used for loading and unloading fish boxes and equipment between vessel and quayside. Designed for harsh environment use and manufactured from seawater resistant materials throughout, it has a small footprint and its reach can be tailored to suit your requirement. 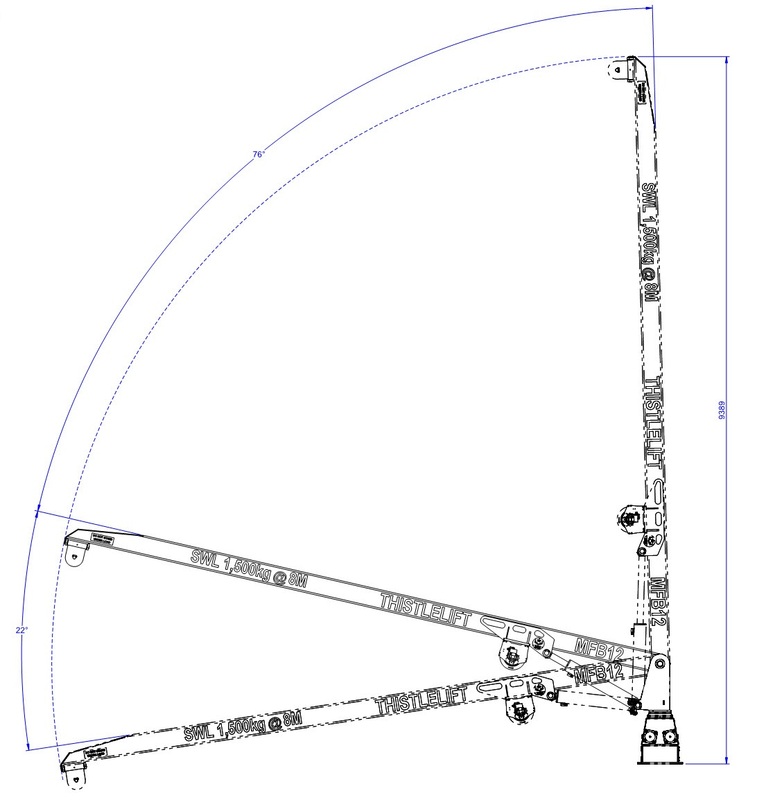 Available with or without continuous rotation function. We have also supplied these cranes for permanent install on the quayside for loading and unloading catches and equipment from boats. Our service offers complete installation on your vessel and training where required. All our cranes are provided with a 1 year warranty.